As a developer, you want to use a staging environment instead of production to develop or update a website. It allows you to experiment, avoid mistakes, and receive a confirmation from your customer before pushing any changes live. The problem is that many tools are not suitable to work on staging and production in terms of licensing. So you need to think about purchasing several licenses to support your development processes. At Visual Composer, we support your development process. With Visual Composer Premium subscription in place, you can activate your license on both - staging and production. You don't need to purchase a separate license for your dev environment as every license comes with a double activation option out of the box. You don't need to do any configuration. Visual Composer will automatically recognize your staging environment and offer to activate staging right away. At the same time, you will be able to activate the same license on your live site. With staging and production activation you will save time on managing licenses. In addition, your staging environment will receive all the benefits of the Premium license. You don't need to reactivate license on the different environments to download elements, templates or receive plugin updates. The activation process of Visual Composer on staging is no different from the regular activation. Make sure that you have Visual Composer installed and Premium subscription in place. 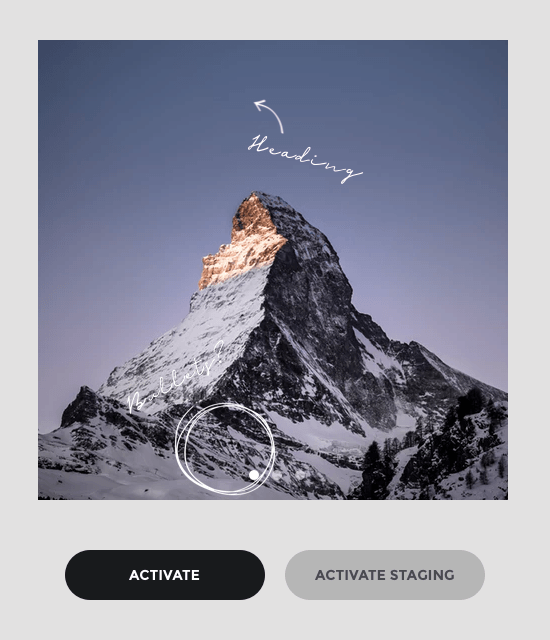 As you proceed with the activation process of the staging, you will see an option to choose either you want to activate production or staging environment. And that's about it - your staging version has been successfully activated. Make sure to activate Visual Composer Premium on your production environment and enjoy hassle-free development. At Visual Composer, we believe that making the website builder easy-to-use for developers is one of our core goals. With an option to run two versions (staging and production) under the same license you can deliver your projects faster. And with automatic recognition, you don't even need to configure anything. Do you like the new staging activation? Want to have more developer-oriented features? Share your thoughts and feature request in the comments section below.